I will go over what fascism is and why it's bad. 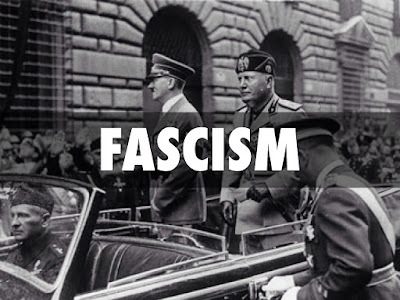 Well, fascism is seen as a form of authoritarian nationalism where it is also a radical form of control in many aspects of life such as freedom of speech and how and what to do in your life. There is also the political spectrum of Fascism in which is often considered to be far right and is sometimes argued to be a form of the extreme left. Fascism also must be run by a one party state where they can not be removed by an election. 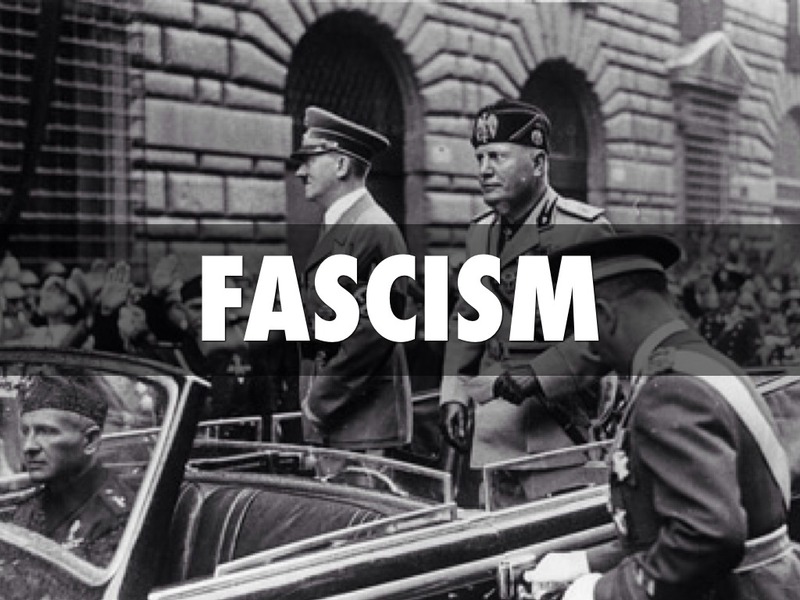 Fascism also tries to control the lives of the people by making them a part of them government on a militaristic level. The people will often have to participate within the military in some way or another. This then leads to an economic function because soldiers need food, uniforms, weapons, planes etc. There is also a deep sense of propaganda within fascist states because the state must have almost total control over the people in order for the state to work in the slightest. Fascism as a whole requires society to have three essential qualities strength, order, and unity. Fascism first really popped up on the political map in no other place than Europe. Specifically in Italy during the First world war (WW1). WW1 was also a revolution. Fascism was most notable in Italy and Germany during the great depression and of course during the second world war (WW2). Both Germany and Italy were fascist states and had an aggressive foreign policy and discriminated against religious ethnicities such as the Jewish faith. It is also worth mentioning that the Roman Empire had a fascist symbol within it that symbolized strength, order, and unity. 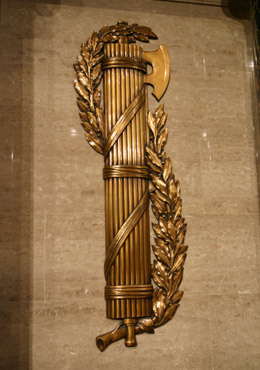 The symbol was called a Fasces and is still known to this day. This idea was adopted by many future fascist states and was also used by them to gain support in the political scene by creating examples of strength, unity, and order for the country. Now what many people might think at first is that unity, strength, and order is good because everyone would be supportive of each other. This is good yes, however, it's at the cost of almost all of your personal freedoms and you'll end up losing yourself and pretty much your basic ability to think for yourself and handle your issues. The idea that Fascism is good is rather difficult to fathom. You see a Fascist state would have to even make examples of people to show that they are serious. So, in turn, there would be at least one murder by the state of someone who disagrees with them in some way or another. The citizens would also constantly be fighting wars all around the world so that there is a decent number of jobs for everyone. If the state were to stop going to war then the nation would fall into an economic crisis. The freedoms of which you currently take for granted such as freedom of expression, voting, freedom of speech etc would be all but gone. If you were to theoretically talk badly about your government you would be sent away by people with guns. The citizens of a Fascist state would end up being so reliant on their governments they would not be able by any means to contradict the government and exercise any of the rights they previously owned. If they did the government would be able to just simply remove substances to the people that disagree with them. This could mean that their crops are being burnt so they can't eat right up to them not being allowed to leave their houses. You would not be able to think for yourself because the control of information would be all too common and only "pro-government" info would be released to the people. Thus what happens is more than just reliance, what happens is you become obedient to them because who in the right mind would go against them. They only want what's good for you. You would be fed propaganda to the point where you become a blind follower of the state and not question anything they do to you. the state would kill anyone and everyone who disagrees with them or speaks out against them. 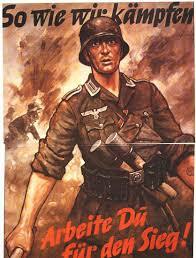 Now, this is true in both Italy and Germany during the second world war. In Germany people who had spoken out against were sent to prisons, concentration camps and were often executed for their actions of being against the government's ideas. In Italy, this happened as well and people were often scared to talk about the state because of the extreme fear of death and torture. This would indeed happen in a modern day Fascist state because it is without a doubt needs to happen for the state to be even in the slightest successful at controlling people. This is also a propaganda technique called fear. Essentially the government would need a scapegoat so they choose a minority and exploit the stereotypes of their race, religion, views etc to cause distrust. When this happens they have the full support of almost everyone and it is considered "okay" "remove" the minority from the public view by murder. The state would be in a mindset of war all the time. This happens because no matter what a Fascist state has to implement a mass amount of citizens into the military. Therefore the state would need to go to war in order to keep the employment level high and keep costs to a minimum. This is true in within history, both Italy and Nazi Germany had to go to war for these reasons because employment would have fallen and the state would have not worked properly. It all falls under employment and economy. 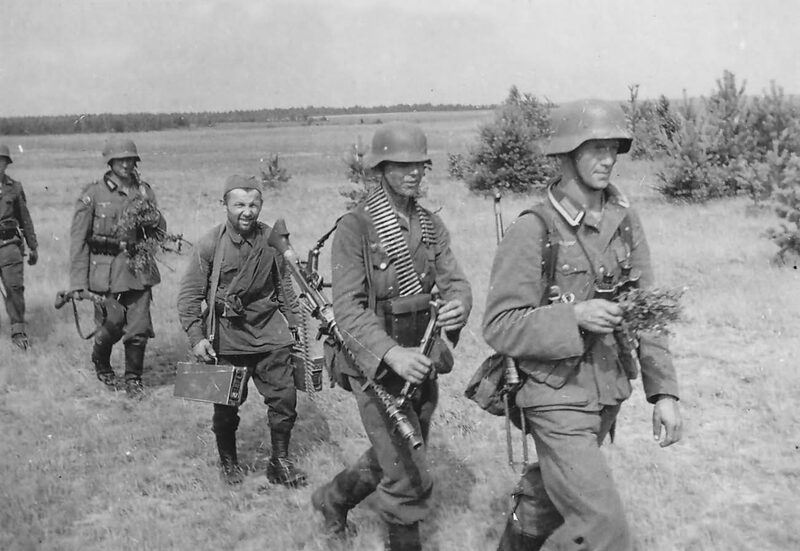 If the nation that is run by a Fascist can no longer go to war it can not have a successful economy since most of the citizens can be linked to the military in one way or another. The job market would also fall if they didn't go to war there would be no jobs or at the very least very few job opportunities for the people of the nation. All in all, a fascist country would not be able to perform to a standard of proficiency at a decent level if they did not participate in almost every war so there could be a decent number of jobs in the country. The nation would also have a bad economy since the resources would be depleted quickly because of the consistent warfare going on. The nation would also have a hard time balancing what jobs to give people because of the constant wars. The genocides that have happened and would happen would be so that the fascist party can gain supporters in one form or the other. This would and has been done by creating a scapegoat of some sort so that they people have something to become aggressive towards. The rights of the individual would also be long gone in a Fascist country because if you're allowed to have rights and speak against the state then you can gain supporters and that would be bad. This was done within Europe in the 1930s and is a clear cut example of what would happen.